"'Record Breaking Participation' for SNA of NORTH DAKOTA when we Hired MGM 2 Years in a Row. MGM's General Session in 2014 was rated #1 by our membership. Repeatedly, our members put on their evaluations: BRING MGM BACK! We Listened. We brought MGM back for our 2015 SNA State Conference. We had Record Breaking Participation! MGM Delivered with Back-to-back #1 Rated General Sessions. MGM is a Passionate School Nutrition Cheerleader!" "MGM has an amazing and unmatched energy and synergy with her audience. Her very positive, touching and simultaneously HYSTERICAL presentation resonated so deeply with me that I was moved to both laughter and tears. MGM is so GENUINELY enthusiastic and connected to her message that she hijacks your endorphines, changes your paradigm and makes you want to run out of the conference hall and be the best whatever-you-happen-to-be! Very Impressed!" "MGM is absolutely the BEST motivational speaker on the subject of School Nutrition I've ever heard!! I especially LOVE how she knew what Child Nutrition employees deal with every day. MGM really hit the nail on the head at the Mississippi School Nutrition Association Annual Conference in Vicksburg, MS and at the School Nutrition Association (SNA) Annual National Conference in Denver, CO. At Both Conferences, MGM was the #1 Rated Speaker! No one can sit through her presentation and not be changed by her energy and passion." "I think the most meaningful part of MGM's presentation was her ability to tailor the presentation to our organization's needs. It was fascinating how she brought in examples of situations we are dealing with and used them to get her points across." "The cost of MGM's presentation was worth every single cent. In fact, I would gladly have paid more to get the excellent results you provided us. You exceeded my expectations by many miles." "In a competitive marketplace, MGM's wonderful 'attitude technologies' provided us with new skills, showed us ways to succeed, and taught us how to laugh! MGM left behind a strong legacy while positioning our bank as an institution that really cares about its staff and community." "Wow! I have never heard a more motivated speaker than MGM on the subject of FOOD SERVICE!" "MGM made our theme, Creating Our Future~Together, Come Alive. It was truly exceptional the way MGM wove the specific challenges of our organization into her presentations. MGM made a lasting impact on our associates." "MGM was able to so deftly customize her delivery to our themes, to support our strategic objectives, and to validate the fine work that was accomplished during the day." "MGM was the highlight of our conference (Virginia SFS State Conference). I knew I could count on MGM to make this the best conference ever. Every food service association should hear MGM". "We've had numerous keynote speakers at our Annual Marketing Conventions, but, none were as well received and appreciated as MGM. Her energy and vitality was infectious. The evaluations were through the ceiling." "I'd like to bottle MGM's energy. MGM's presentation was so customized to our grocers that they thought she owned a supermarket in the area. I highly recommend MGM...she was the hit of our conference." Events Coordinator, Spartan Stores Inc.
"MGM brought my tired cafeteria staff back to life. She got us ready to go back to work and finish the year off strong!" 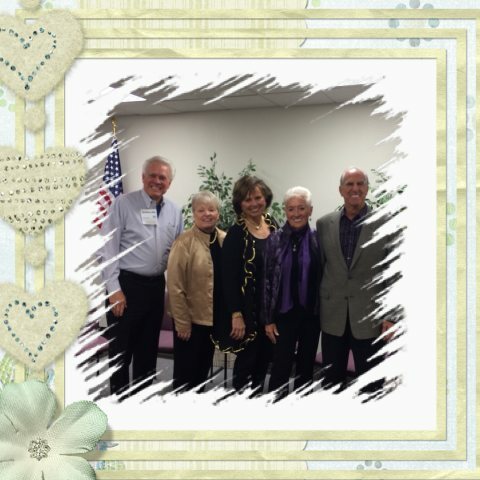 "Maureen G Mulvaney, MGM had done research regarding our group - MGM truly spoke to us about us!!! We walked away from our Kansas Medical Group Management Association State Conference feeling AMAZING and ready to implement new, positive ideas into our practices. Thanks MGM!!! "I was lucky enough to have attended the Professional Staff Conference (PSA) and saw Maureen MGM Mulvaney's presentation as general session speaker. PURE NITRO!! Her message is very prositive, timely and appropriate to the concepts of 'One Maricopa'--'Changing Times' and 'Changing Environments and Attitudes'. MGM uses humor, audience partipation and involvement to entertain, enlighten, motivate and inform. It's no wonder she is an International Star on the Motivational Speaker Circuit." "My momma had a great sense of humor. 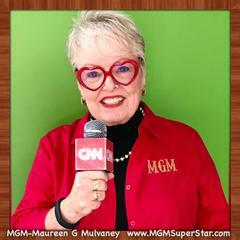 She named me Maureen G Mulvaney so my initials would be MGM...A Big Production! From the beginnning, I've been known as MGM...A Big Production! It just seemed like a natural fit to become a bonafided Professional Speaker. My Promise to You is to Create a 'Smash Hit' Presentation for Your Event as YOUR General Session Speaker or Professional Standards Trainer!" MGM creates Electrifying Tailored General Session Presentations that Motivate and Educate as Your Audience Participates! MGM blends cutting edge material with engaging and entertaining personal anecdotes to create valuable learning experiences for Audiences, around the Nation, and around the World. Because MGM understands that hiring a speaker is a formidable responsibility. Who will make YOU LOOK GOOD so YOU receive RAVE REVIEWS! MGM is the Consummate Professional. She always customizes her content, is easy to work with, fits within budget, delivers an electrifying presentation, and gets Rave Reviews. The difference between MGM and many other speakers is - MGM does not blatantly claim to be the right speaker for every engagement. MGM ONLY books engagements that fit her expertise and that are Right For You, the Client. Is MGM the Right Speaker for YOU? The only way to find out is Give Us a CALL, NOW. Speak directly with MGM. With honesty and integrity, she'll let you know if she's the Right Fit...if not she'll direct you to the person who might be. Every MGM Presentation Guaranteed a 'Smash Hit'! 'Cutting Edge', 'Laugh as You Learn', 'WOW' Presentation! We take ALL the Risk...YOU TAKE ALL THE CREDIT! A Tailored Customized 'Smash Hit' Presentation every time. Motivate and Educate as Your Audience Participates! "Og Mandino, Zig Ziglar, Mark Victor Hansen, Danielle Kennedy, Patricia Fripp, Mary Lou Henner...have all graced the Arbonne Stage. Clearly one name that stands out among the list of who's who of International speakers is Maureen G. Mulvaney, MGM! MGM has been one of Arbonne's highest rated speakers ever! If you want your evaluations to read "Smash Hit", "Bring her Back", "Changed my Life", "I can use the information in my business", then hire MGM. I highly recommend MGM as the #1 speaker to motivate and move your people to the next level." 1. 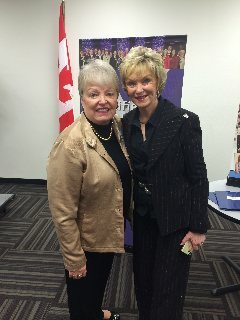 Wow!--MGM WOW'ed the Arizona National Speaker's Association with her Passion, her Humor, her Energy, and her CONTENT. WOW! 2. OMG!--MGM was God possessed today. She glowed with Love, Joy and Caring. The desire to Lift and Inspire her audience--Poured Out of MGM. 3. OTC!--Off The Chart- On a 1 Low-10 High scale, MGM earned an 11! The BEST NSA-AZ PRESENTATION I'VE SEEN IN ALL MY 38 YEARS! 4. SWI!--"Speak With Impact" That's AZ-NSA's theme and MGM did everything possible to Speak & Make a Positive Impact! designated by National Speakers Association! MGM Guaranteed to get 'Rave Reviews'or Your Money Back! A Customized 'Smash Hit' Presentation Every Time.